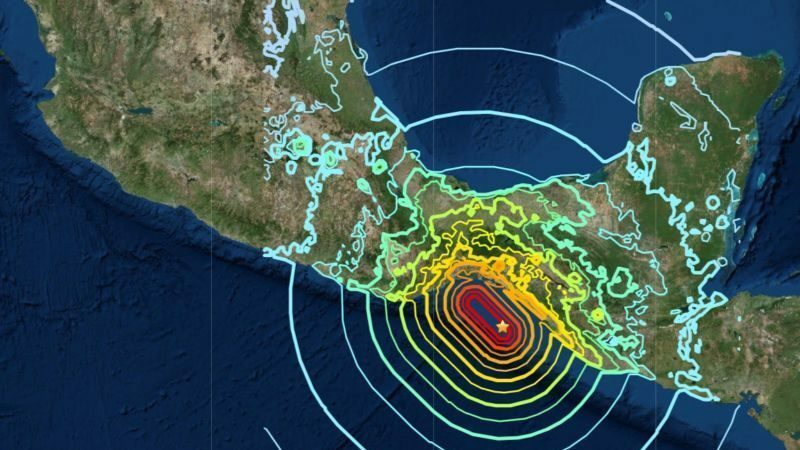 Magnitude 8.2 in Mexico involved more fault movement than thought possible. Mexico’s western coast is a tectonic plate boundary, where the oceanic plate collides with and dives beneath the continent. That means that earthquakes along that boundary are typically the result of compressive force that squeezes rock to slide up the plane of the fault. Both September earthquakes were the result of stretching, however, which is almost as much of a head-scratcher as finding that part of your car’s engine was pulled apart during a head-on crash. 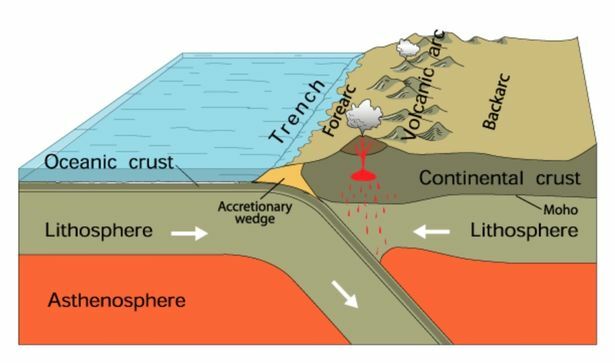 The explanation here is that as the oceanic plate disappears beneath the continent, it sinks downward into the mantle. First of all, the bending of the plate downward causes stretching, just as the skin over your elbow has to stretch. Second, the sinking plate pulls downward as it “hangs” from the part of the plate that is still up at the surface-another stretching force. Occasional earthquakes within this bending, sinking plate can reflect that stretching. A new study led by the University of Oregon’s Diego Malgar found something even weirder, though. Counter to what we thought possible, the fault seems to have broken clean through the entire tectonic plate. The shaking recorded at seismometers can be used to pinpoint the location of an earthquake, but more detail can be extracted if you have things like GPS sensors in the area detecting ground movement. Seismologists can model the process backward from the measured surface movement and figure out how the fault moved underground. That’s what Malgar and his colleagues did here, producing estimates of the portion of the fault plane that slipped and how much it moved. The results show that a 150km-long section of the fault slipped three meters or so. Vertically, the portion of the fault that slipped starts at the top of the oceanic plate-about 15km below the Earth’s surface-and continues all the way down to a depth of about 80km, which is roughly the bottom of the plate. The movement started at a spot about 46km down and spread outward along the plane of the fault from there. The equations for the physics of all this tell us that the fault movement should have been restricted to the upper half of the oceanic plate. This is partly because hotter temperatures at greater depths make the rock less brittle and partly because the inside of the bend in the plate should be feeling squeezing rather than stretching. Look around to make sure no one’s watching, and then stare at your elbow. As you bend it, the skin stretches around the outside of your elbow, but relaxes on the inside as your forearm and bicep come together. Similarly, faults moving because they’re being pulled apart on the outside of the bend should be clamped together on the inside of the bend. So why did this earthquake break the rules? The researchers say a couple additional factors must be at play. First, seawater percolating down into the cracks that formed as the oceanic plate first bent to head beneath the continent could have cooled the rock and reacted with minerals, making the rock more brittle than it would be otherwise. 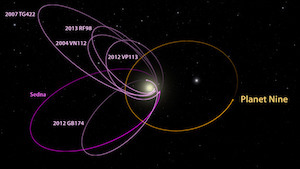 And second, the sinking portion of the oceanic plate must be pulling downward pretty hard. Let’s not pull on your wrist hard enough to stretch your elbow joint, but doing so would counteract the squeezing on the inside of your elbow as it bends.